Adventures With Toddlers and Preschoolers: Epcot OR Animal Kingdom??? Many people do not get the opportunity to visit all of the four Disney theme parks. For whatever reason, lack of time, money, etc. they have to decide which parks to visit and which parks to skip. My family usually buys the 5 day base park tickets. We do not purchase the hopper tickets because they cost more and we feel that since our children are so young that trying to squeeze in too much in one day is not worth it. I am here to help you decide, Epcot or Animal Kingdom. Let's say your family only has four days in Orlando. I would recommend visiting Magic Kingdom at least twice because there is just too much to try to squeeze into just one day. Hollywood Studios is a must for my family, there are so many great shows and attractions for young children here. Now, hypothetically speaking, let's say you have just one valuable vacation day left in Orlando. Do you choose Epcot or Animal Kingdom? Well, this is really a personal decision and it really depends on many factors. Factors to consider: the age of your children, the weather on the day you plan to visit either park, do your children love animals, etc. If it is raining on the day you intend to visit said park I would highly recommend visiting EPCOT because there are many indoor activities, attractions and rides compared to Animal Kingdom. If your children are younger then I would recommend you visit Animal Kingdom. It is just more exciting to young children, it is more hands on and in my personal opinion it has a more family friendly atmosphere. Epcot is great for children of all ages, dont get me wrong, however, IF you have to choose between Epcot and Animal Kingdom and you have children that are young then my vote is Animal Kingdom. 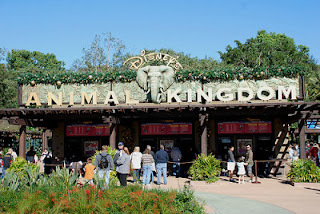 Animal Kingdom offers several fun kid friendly restaurants that I would highly recommend. Rainforest Cafe and Tusker House. I would specifically recommend the character breakfast "Donald's Safari Breakfast" at Tusker House with Donald, Daisy, Mickey and Minnie. Animal Kingdom also has the super cute Mickey's Jammin' Jungle Parade every afternoon. Should You Book A Character Meal?